The Whiteface Region has so much to offer to every kind of outdoor recreational enthusiast, but maybe you would prefer a relaxing day of sight-seeing without the extended time in the woods. Maybe you are visiting the High Peaks Region and have been hammering out peak after peak and you want something to do on a recovery day, well the Whiteface Region has just the ticket. Here are four select scenic destinations within a short drive of the village. From the main intersection in Wilmington follow Route 86 (toward Lake Placid) for just over 2 miles - you will find the Flume Parking on your right; just before the steel bridge over the Ausable River. From the parking area you have the choice of crossing the road and staying on the same side of the river or walking across the bridge and following the river on the opposite side, downstream. Both of these paths will bring you down to, and along, the course of several rather impressive waterfalls. You should be very careful while on these trails as to not get too close to the edge. 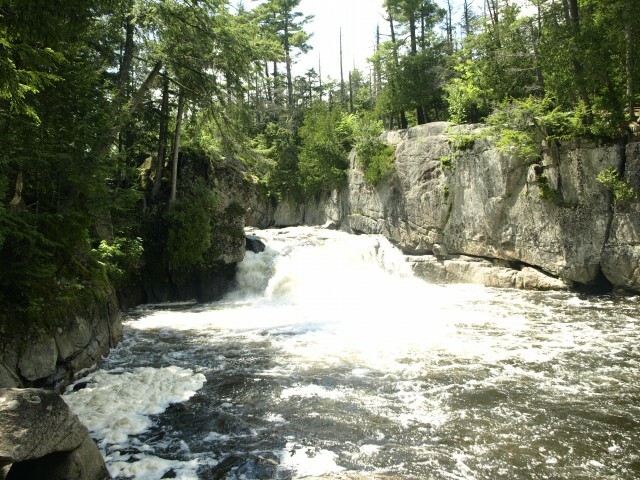 There is no protection between you and the steep cliffs down to the Ausable River. This can be a very hazardous area for children, so please keep a close eye on them for their safety. Follow Route 86 out of Wilmington (toward Jay) and continue to Route 9N. At the stop sign for Route 9N drive straight across onto Glen Road. At the bottom of the hill there is a slight right that will dead end at the covered bridge. At this point you can walk across the bridge for photographic opportunities or make your way down to the water’s edge for a quick dip in the cool waters. A small public park is also available on the opposite side of the bridge. High Falls Gorge is a pay-to-use destination that is worth every penny of the admittance fee. Start by following Route 86 out of Wilmington (toward Lake Placid) and continuing for around 5-miles to the park entrance on the right. To get into the park you have to enter the gift shop to get your pass. Once in the park you have hiking options along well-built trails. You will hike along the steep shoulder of Little Whiteface Mountain with impressive cliffs lining the side of the peak. 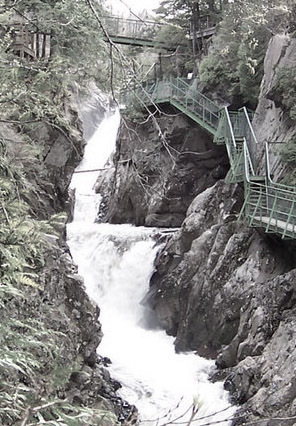 Then, of course, you can walk along the numerous boardwalks, bridges and staircases that will get you up close and personal with the falls that flow rapidly through the gorge, as the Ausable River plummets hundreds of feet below. This destination is a bit further away, but highly recommended for the short journey you'll take in your car. Follow Route 86 out of Wilmington to Jay. In Jay, follow Route 9N North toward Keeseville. When in Keeseville follow Route 9 toward Plattsburgh. 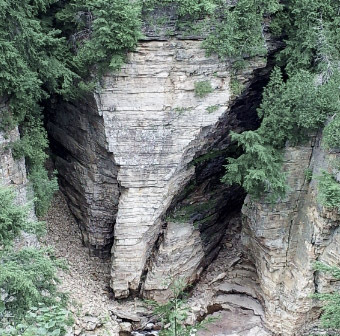 The Ausable Chasm park entrance will be on the right, some viewing locations can be had from along Route 9, but the best vantage points are within the park. There is a fee to enter the park. Within the park you can also enjoy a café, gift shop, and exhibit museum. You can also get your heart pumping by hiring one of their guides to take you on a climb of the chasm walls or take a little adventure and try some repelling. The Ausable Chasm is literally a one-stop-shop for a full day’s adventure, right in Wilmington’s back door. Interested in hiking some of the more aggressive trails of the Whiteface Region? Check out a local guide service for details. Need a place to stay and a place to eat, we can help you with that too!